Selling stuff locally and online has become the first priority of the Americans as well as other country citizens to reach their financial goals; making themselves equipped and facilitated enough to get rid-off their debts or proceeding to save an amount which is going to matter for them in future financial strategies. There exists myriad of items allowing the everyday people to choose and purchase them as per the requirements. Getting directly in touch of the sellers locally has always been proven the best strategy of either buying or selling the stuffs. However, with the revolutionary digitization in the field of Information Technology, a massive number of peopleare seen targeting the available apps online to perform such buying or selling based tasks adequately. 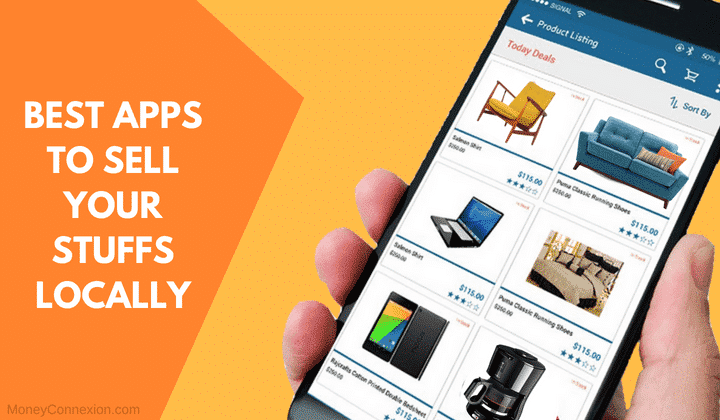 Here is the list of 28 most popular smartphone apps and websites to sell stuff locally and online and allows people to save money without any worries is as mentioned below. LetsGo is one of the most popular free apps for selling stuff locally; also allowing the users to list their stuffs for selling them online as well as allowing them to choose the stuffs for purchase from a wide variety of categories. Every listing is treated as unique by the app administrators, and no any listing is charged over the platform. Categories included inside the environment comprises Free Stuff, Electronics, Cars, Baby and Child, Movies, Music, Home and Garden etc to name a few. The app is provided both for Android and iOS environments. This app provides the users a facility to enter the barcode of the items needed to be sold over platform. The app searches for the required categories as per the scanned barcode and lists the desired product inside their database. Entire listing formalities are entirely free over the platform and can be accessed with ease via the handheld devices such as smartphones. One of the most attracting and eye-catching advantage is that the app provides the users a facility to get paid next day if they prefer to choose the payment via PayPal or direct deposits. It is one of the app/website to sell stuff locally and online. Amazon has come up with one of his most popular programs for selling stuffs locally under several categories through Amazon. Unlike the other apps which provide free listing of the products, Amazon Seller Marketplace charges for everything including listing as well as the selling fees. Prices also depend upon the category of items listed for sell over the platform. The app has been made available under Android as well as iOS platforms for instant downloads. Facebook groups have been noticed as one of the most trending mediums for buying and selling stuffs online. Click on “Buy and Sell Groups” button in the Explore menu after which several groups closest to the user’s location gets listed. Buyers or sellers follow the mentioned guidelines to join the specific group. Finally, the requirements can get listed over their by preparing an eye-catching documentation with necessary graphics if needed. The app can get accessed from both the platforms including Android and iOS. Unlike other list of money making apps available, OfferUp provides the users with an appealing interface by making both the buyers and sellers leave their individual feedback based on their experience. The app can be understood a combination of Craigslist and eBay allowing the users to add stuff inside the watch list, utilising the in-app chatting feature to ask the questions and additionally make a counter offer as well. App is extremely free without any hidden charges. Availability is for both the famous platforms including Android and iOS. The app allows buying and selling up of the stuffs related to fashion, clothing and other concerned accessories. Users can borrow the stuff by applying essential filters such as men, women, and kids along with the brand name or items as well. The prepaid shipping label is sent to the sellers who wish to sell an item over Poshmark platform. Small commission amount is charged based on the transaction. Customer service team assists for the best items concerning the specific category. Availability is for both the mobile platforms including Android and iOS. The app provides the facility of buying and selling the products under various categories within a geographical area up to 5 miles. The free listing facility is provided over the environment similar to Craigslist and other similar sites. Searching can be based as per various applicable filters and the availability is for both Android and iOS platforms. OLX is one of the most popular websites to sell stuff locally which is accessed by the people in various countries including United States, Russia, the Philippines, India, South Africa, Portugal etc to name a few. A listing can be done entirely for free, the however premium listing of the products is also available by paying a small amount. Visiting OLX in US lets the users redirected to LetGo. Compatibility is for both Android and iOS platforms. This app provides a facility to sell the books online after accepting the offer prices and entering the ISBN number mentioned in the book. A free prepaid shipping label is sent to the sellers using which the users can pack up and pass the books to them. Payments are received merely via PayPal within two weeks of login into the platform. The app is available for both the smartphone platforms. eBay is well popular for serving the customers all across the world. Also, local listings of the large and bulky items including furniture etc. can also be done so that the buyer can meet the seller and pick up the p without any hassles. The app was previously available with the name “ebayclassifieds”. The environment is not over flooded with the users, and accordingly, the buying and selling of the stuff are comfortable with most comfortable browsing facilities. The app is likely to capture online classified industry owing to the dedicated services provided to wide number of users. It is a great place to sell stuff locally. Stuff like the vintage furniture and the decoration based items can be sold quickly. Almost all the major cities of United States are available under the platform to sell such items online comfortable using the features making an offer, chat in-app as well as in deciding in-person meeting place before buying the stuff. Listing of the stuff is entirely free with merely a couple of pictures desired. Unlike other apps, Mercari app demands 10% of the listing price mentioned over the platform by the users. The platform is operational within 50 states of US and thereby indicating the widespread popularity in the country. Almost all the categories are included and online apps is available both for Android and iOS. Carousell helps in connecting buyers and sellers together by without any listing or selling fees. The platform helps both the parties to chat online and fix a meeting place for trading the desired goods or items. All the essential categories are there with app availability under both Android and iOS-based devices; Thus making it an efficient platform to sell stuff locally. The app has been made available only for the iOS environments. The app is dedicated towards the selling of hand-made decorations and vintage jewellery and furniture, with a minimum listing charge of $75 as well as 20% commission. The buyer can return the product within 48 hours and they are permitted to be paid after 48 hours of time. The platform has international existence and much similar to Craigslist. It also provides the facility to get connected with the sellers using phone or the e-mail kind of facilities. However, it has been made exclusively available for iPhones only. Free listing facility is provided using the online platform helping the persons to buy and sell the stuffs in their geographical area. Lots of categories are available to choose from, and the service is available in the major metropolitan cities of US. The app is available both for Android and iOS platforms for hassle free trading. Both the buyers and sellers are permitted to sign up using their Facebook account helping to identify the authentication of the concerned persons over the app. There are no any specific categories mentioned, and users can search via typing the stuff’s name in the search bar. Complete free listing and trading facilities are provided. The app is available both for Android and Apple making it one of the best platform to sell stuff locally. The users can sell stuff locally using free local classified advertisements. Thus,it can be used by the users to write the smallest description of the product and list them accordingly for sell. Both the parties can met up in nearest geographical area as per their convenience and finalize the deal. App availability is for both the platforms. The platform offers the users to buy and sell stuff locally and comfortably under several different categories. Socialsell is functional in several areas of the United States and provides the users with a facility to list the stuff entirely for free. This buying and selling app is available for both Android and iOS platforms. Wardrobe items including shoes, cloths and accessories are permitted to be sold over the platform; one of the best apps to sell the stuff. Sellers can find their local buyers instantly or even ship the item as per the requirements and get instant payments via PayPal. Vinted is available for both the platforms. Instagram has even achieved a successful selling rate not only in US but even all over the world. The users are required to take a picture of the item and list it over the platform with worthy description. Soon after getting the buyers among a list of contacts and other concerned, trading processes can be done without any hassles. Recycler is one of the first used online platforms for being associated with classified listings with ease.One can keep used items for sale as well. 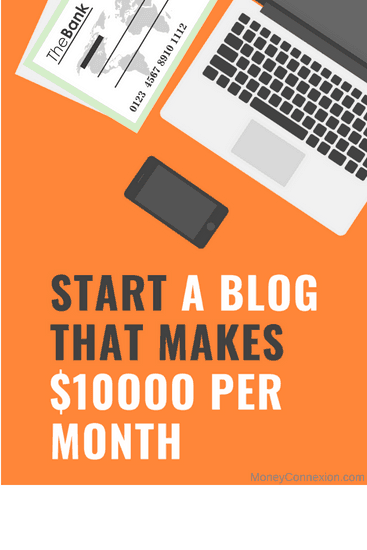 It is one of the best ways to make money from your waste junk. The platform has gained widespread popularity in dealing with used cars, pets and to rent houses in a country like the US along with few other coastal nations. App is available both for Android and Apple. Hoobly has been popular selling app among the US-based citizens who want to deal in buying and selling of pets. Despite the other listings, people like the platform for a kind of convenience in dealing with pets only. Listing is completely free and the app is made available both for Android and iOS platforms. Wish Local is single in the category app to sell stuff to be made available for Android, iOS, Amazon and Microsoft devices as well. Buyers can choose from the lowest price listings by online retailers along with the availability of Wish Feature permitting to buy and sell the stuff locally in the nearby vicinity. The app has been made available for buying and selling of stuffs even in the remote and rural areas as well in US and other various countries. It has a vast number audience providing a facility to list the product with large buying opportunities. Craigslist is also one of the best ways to make extra money. Pxsell allows the sellers to sell the stuff locally simply by clicking the picture, mentioning the most appropriate description and listing over the app. The app permits the facility to arrange a meet up and trade at the best prices. It is available both for Android and iOS platforms. Unlike other listed apps, Yardsales.com permits the sellers with a ‘Garage sell genie’ pricing tool to estimate. It understands the actual pricing of the planned product to be sold over the platform. The feature assures both the buyer and seller for the best deal with the app’s help. The listing facility is made entirely free. This summarises the list of best apps and websites to sell stuff locally and online. There are a countless number of apps and websites which will give you some best offers to sell your stuff online. Choosing the right kind of platform (app/website) for the particular item to be sold plays a crucial role. GOOD LUCK!